Apple CEO Tim Cook today commented on the opportunities Apple sees in the video market, though he declined to provide details on the company's specific plans. Cook said that Apple sees "huge changes" taking place in customer behavior, which the company expects to "accelerate as the year goes by." Specifically, Cook said that Apple is expecting an acceleration of the breakdown of the cable bundle. "I think it'll likely take place at a much faster pace this year," he said. Apple plans to "participate in that" in a number of ways, including the Apple TV, which offers support for apps so customers can watch television content on a per-app basis, and AirPlay 2, which will soon support third-party television sets. Cook said Apple is "excited" about the expansion of AirPlay 2 compatibility to third-party television companies because it will make the experience with people using Apple products in the living room "even better." Cook said that third-party video subscriptions available on the App Store provide another opportunity for Apple that could "accelerate in the future" as customers are likely to buy multiple services, and finally, Cook pointed towards Apple's own work on original content. Finally, original content, where we will participate. We've signed a multi-year partnership with Oprah. Today I'm not really ready to extend that conversation beyond that point. We've hired some people we have a super amount of confidence in, and they're working really hard. We'll have more to say on that later. 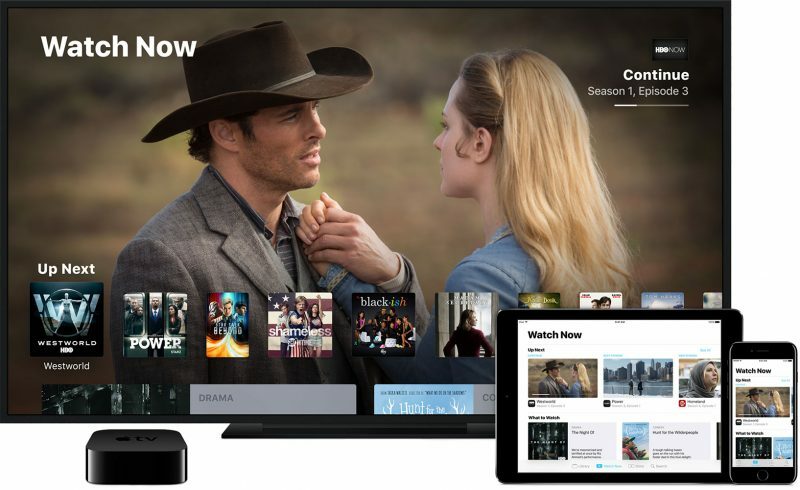 Rumors have suggested Apple is working on a full streaming television service to distribute both its original content and content from third-party providers such as HBO and STARZ. At least some of the content Apple is creating could be available for free, and Apple is said to be planning to integrate the service and the new TV shows into its TV app. Apple has more than two dozen original television shows in the works, many of which are in the casting stages, with filming likely set to begin soon. Apple has also purchased movies and inked deals with well-known industry talent including Jason Katims and Justin Lin. Apple is aiming to have its streaming television service ready for a mid-April launch, and has been telling its launch partners to prepare for that date. An actual release could come right around that target date. Yes, break down cable by having about 7-8 different subscription services where each only has 1-2 shows you want to watch for the low price of $15-20 a month. Step One: Call the cable company and cancel cable. Step Two: Call the cable company and order an internet wire. Step Four: Wonder how so many people claim to save money. I'll never buy in so long as that craptastic apple tv remote exists. Offer an app through LG's webOS please. I will never subscribe to this service at all. Because I’m confident I’ll pay the jackpot and fall a sleep watching their noble shows. If anyone thinks the cable industry will take this lying down is just kidding themselves. Get ready to see them jack up the prices for internet only services and more of them going to data caps for those that only have internet only service. You know what I need? A service that bundles all the streaming services I want for one price. So I can get ABC, CBS, NBC, FOX, ESPN, HBO all in one package. Why hasn't anyone thought of that? Oprah, all PG content. I'll just say it this sounds absolutely terrible. It pains me that in order for me to win I have to let go of this notion that Oprah must lose. I'm hearing that in the voice of your Dr. Phil avatar. Why is apple going into this business of media creation? how is this their core competency in any way? I guess they're so rich now they dont have any fiscal control or focus. Yes. It’s desperation. They’ll do ok because they’re Apple and have $250B in cash to throw around, but they also have Edy Cue in charge. Until the dinosaurs with delusions of infallibility (e.g., Cue, Schiller) clear out, the company will continue to play catch up with the industry’s more innovative and in-touch enterprises. It’s amusing how some people think Apple will pave the way for cord cutting when good cord cutting solutions have been out for a while now. The ideal Apple customer. Apple’s entire business model now is cultivating such people.